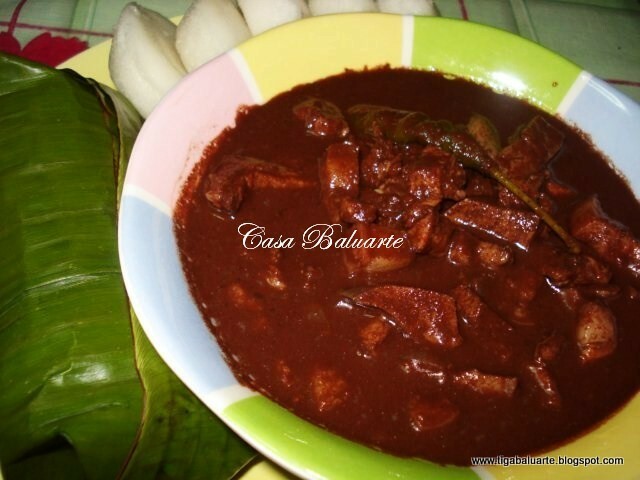 Here is an Ilonggo way on how to cook Pork Dinuguan. Best when serve with puto (rice cakes) on the side or over steam rice. Saute ginger, garlic, onions till caramelized. Add pork and lemongrass till the pork turn brown on the edges using a deep pot. When the pork is tender pour in blood pot and simmer.